Is an association for the support and promotion of the Pinzgau Local Railway. 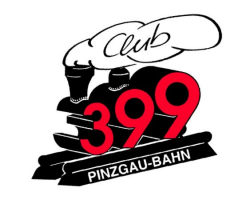 The Club 399 – Friends of the Pinzgauer Lokalbahn actively supports the operation of the historic steam train on the narrow gauge railway. This includes the running and upkeep of the vintage steam locomotive 399.03 – Mh.3 from 1906. The club promotes the history of the railway and its importance to the region.